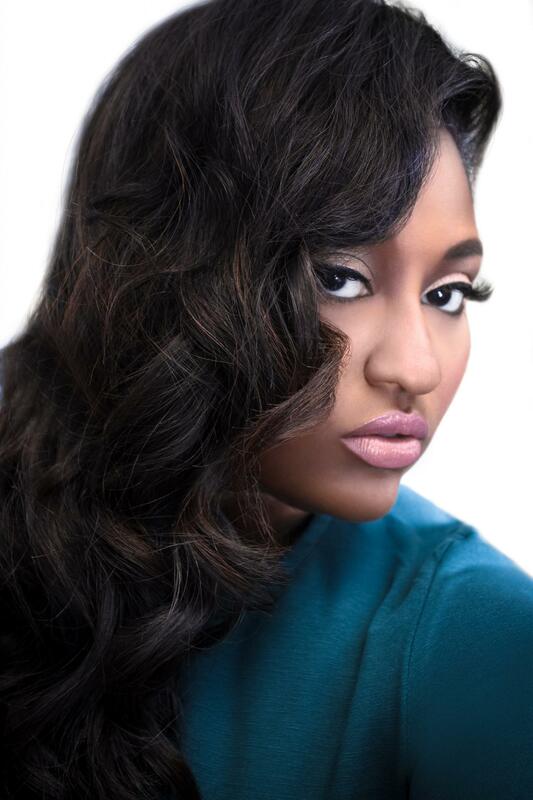 Find out why Jazmine Sullivan is nervous to perform for Kim Burrell and what Kim did the first time she met her, that she'll never forget. Since she burst on to the scene in 2008, Jazmine Sullivan has proven herself to be one of the best voices of this generation. Her runs, vocal range, raspy tone and her highly revered songwriting skills have landed her in the nominee categories at the Grammy Awards eight times. This year, after her hiatus from music, the 28-year-old Philadelphia native is back to perform at ESSENCE Fest in a whole new way. A way in which to her, has special significance because she gets to honor the woman she grew up idolizing and loving, our All-Star tribute honorree, Kim Burrell. In our new exclusive, find out why the gifted songstress is so nervous just after finishing her latest national tour. ESSENCE: Congrats on completing your Reality Show Tour. How did it go? We heard you were amazing. Thank you. It was a wonderful experience. It was a lot because I haven’t toured in years and years…but, it’s been great going from city to city, and sometimes a city twice. People came out and have been loving the work and everything. I’ve been really happy! ESSENCE: That’s great. After your five-year hiatus and all you’ve learned since you came on the scene with “I Need U Bad,” what’s the biggest difference in Jazmine Sullivan today versus who you were back then? I would say my confidence level has grown tremendously from when I first started to now. I’m a lot older and I just feel like I know myself a little more. I also love myself more. ESSENCE: When you decided to take your break from music, did you plan to stop singing completely or did you just need a moment to step away from the fame? Oh no, I just needed a moment to step back. I really thought it was going to be three months tops! I didn’t plan for it to be years and years, but life does it what it wants. Time just goes and the next time you look up, it’s years later. It turned in to longer than I wanted. ESSENCE: What was the song you loved to perform from your album, Reality Show, that you never got sick of, every night? I think it was Brand New because it’s something about performing that song that I’ve never experienced before. Brand New has a hip hop flavor to it and I feel like a rapper when I do it. People feel like they are rapping, too! [Laughs] It was cool to get to do that every night. ESSENCE: We are so excited to have you for the Kim Burrell tribute! ESSENCE: Why? You are the perfect person to do this. Thank you, but because I love Kim Burrell! She’s all I’ve listened to all my life. I was either on Maxwell or Mary’s tour, and I met Kim backstage. I was talking to her but I was so nervous that I couldn’t sing in front of her then. Doing this is such a big deal for me, I’m going to cry! ESSENCE: When you met Kim Burrell for the first time, do you remember what she said to you? She was wonderful. We all know she loves to support other singers. I remember that she was just very supportive of me and I actually went out with her one day in Philly. She contacted me— she always reaches out, too. THE Kim Burrell is always so humble and so sweet. We went out to eat and I’ll never forget it, but she actually put me on the phone with Whitney Houston. Jazmine Sullivan: Yea! She asked, “Have you ever talked to Whitney?” Then, she called her up and I got a chance to say hi and it was the only time I got a chance to speak to Whitney so… She is so sweet. I am so excited, nervous and happy that she is getting this honor. Not only is she the best vocalist ever, she’s also a beautiful person. ESSENCE: What has been your favorite part about coming to ESSENCE Fest? I love the people! There’s never any drama. People come there to listen to music and that’s what it’s about. They come to enjoy themselves and there’s just a lot of love. ESSENCE: Exactly, a lot of people are excited because we are bringing back Maze Feat. Frankie Beverly. Oh, they are amazing. My mom actually grew up with Frankie Beverly and Maze. ESSENCE: Wow, you know everybody. Love it! Also, Missy Elliott is performing this year. Oh, for real?! Oh my God! That’s going to be amazing. ESSENCE: You might need to come out with her! Jazmine Sullivan: That would be cute, yeah! The All-Star Gospel Tribute to Kim Burrell will take place on Sunday, July 5th. Don’t miss any of the great moments at ESSENCE Fest 2015, buy your tickets today.